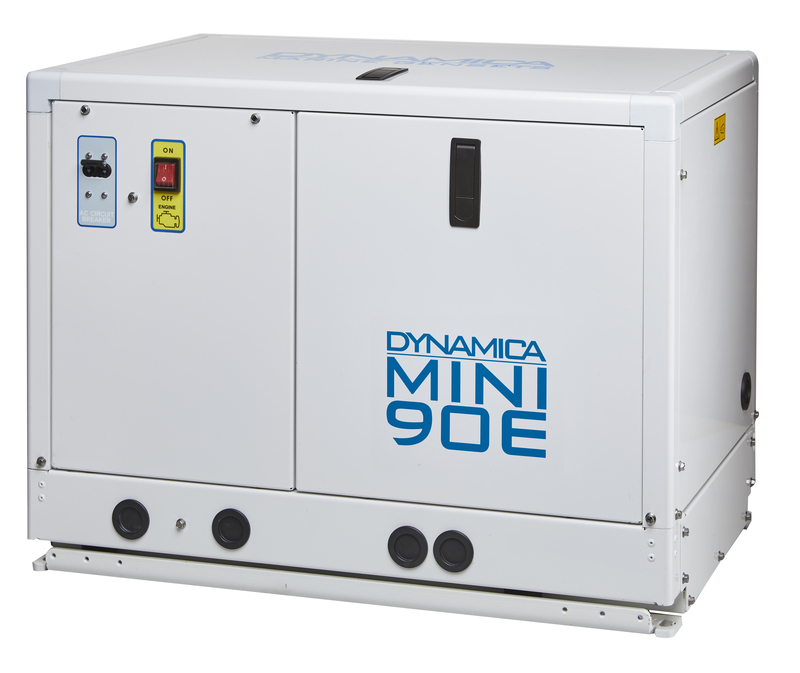 Two models completing the renewed product range of Dynamica gen-sets, the 70E and the 90E, are equipped with new engines. Designed to satisfy the needs of the small and medium-sized boats, the range now includes four models from 3 to 9 kW, characterized by reduced size, high performance and among the lowest noise emissions in the category. Compact, quiet and reliable: three words are enough to describe all models of the brand-new product range of the Dynamica gen-sets distributed by Saim Marine. After releasing two models from 3 to 5 kW, the 40E and the 60E, last autumn at the Genoa Boat Show, Saim now presents two larger models equipped with Kubota engines, world-renowned for their power and reliability. 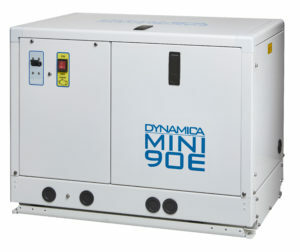 The 70E and the 90E, delivering one 6 kW and the other 9 kW peak power, four-stroke and two 479 cc cylinders for the 70E, three 719 cc cylinders for the 90E, are both cooled by an inner heat exchanger and available in the 50 or 60 Hz versions. The 60 Hz models are compatible with EPA Tier III for the USA market. The engine of the gen-sets is equipped with a double anti-vibration system and is designed to work properly up to an inclination of 30°. The two-pole synchronous alternator without brushes and Class H insulation is equipped with automatic safe-stop at high temperatures. The control unit of the new gen-sets, the same as smaller models of 3 to 5 kW, features weatherproof IP54, soft-touch control keys, digital display and Mod-Bus 485 connector to monitor the generator from the bridge. Moreover, the control unit may feature, upon request, the possibility to communicate via GSM the generator’s start and stop, as well as to send alarm messages. A new soundproof cabin with an aluminium 5754 structure makes the new models some of the most silent on the market, with sound emissions at 54 dB (A) at 7m. The new save-spacing, high-performance, easily installed gen-sets complete the compact, silent and reliable Dynamica product range.